The specialist property litigation team at Langleys Solicitors LLP has continued its rapid expansion following the appointment of solicitor Amir Mughal. 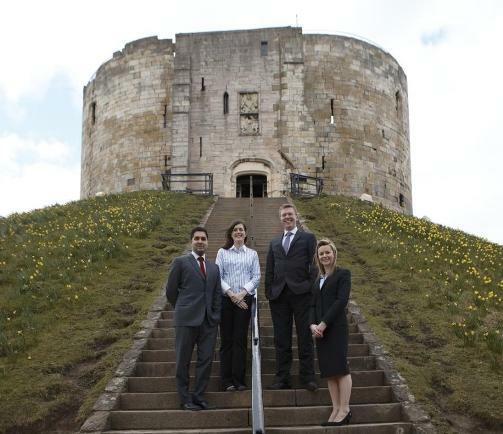 Established by partner Matthew Pugh 12 months ago, the York-based team is one of the fasted growing in Yorkshire and has already become the largest property litigation team in the city. The team is building a reputation for dealing with high value and complex litigation and has attracted work from big name clients such as Del Monte, First Group, Bauer Media Group, Yorkshire Linen and Marsh & Parsons as well as a wide range of local businesses and individuals. Amir trained at Leeds firm Walker Morris before honing his skills at leading city firm Lovells. He joins Langleys from Yorkshire firm Lupton Fawcett Lee & Priestley. Amir has particular experience working with retailers and has acted for high street brands Thorntons and River Island as well as Sheffield based developer Henry Boot. We’ve grown our client base, and consequently our team, very quickly over the last 12 months. We are building a solid reputation in Yorkshire and Lincolnshire as genuine specialists offering a swift, approachable and innovative service, focussed on getting clients what they want. We are also beginning to develop a national profile and are receiving increasing instructions from clients based in London and overseas. I worked with Amir at a previous firm and the skills and experience that he brings to the team enhances our offering and will enable us to grow further over the next 12 months. We’re also supported by the breadth of expertise the Langleys Commercial division as a whole provides, in areas such as construction, property transactions and regulatory. This means we can bring in other legal experts to support our work making our offering to clients much wider. Clients come back because they like the service and the results we get for them. The property litigation team provides a wide range of services to businesses and individuals including landlord and tenant issues, the eviction of squatters and disputes over ownership, title, development contracts and access rights. The also team undertakes some pro bono work and recently acted for a local community in relation to a dispute concerning the registration of a village green. The team includes trainee solicitor Belinda Normandale and paralegal Lisa Stephenson.